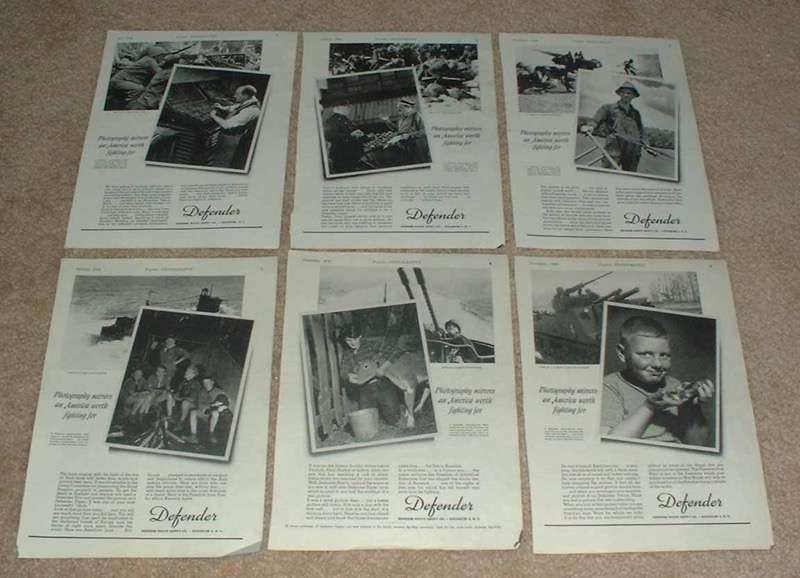 Vintage Paper Ads > Clearance Lots > Large Lot of 12 WWII Defender Photo Supply Ads - NICE!! 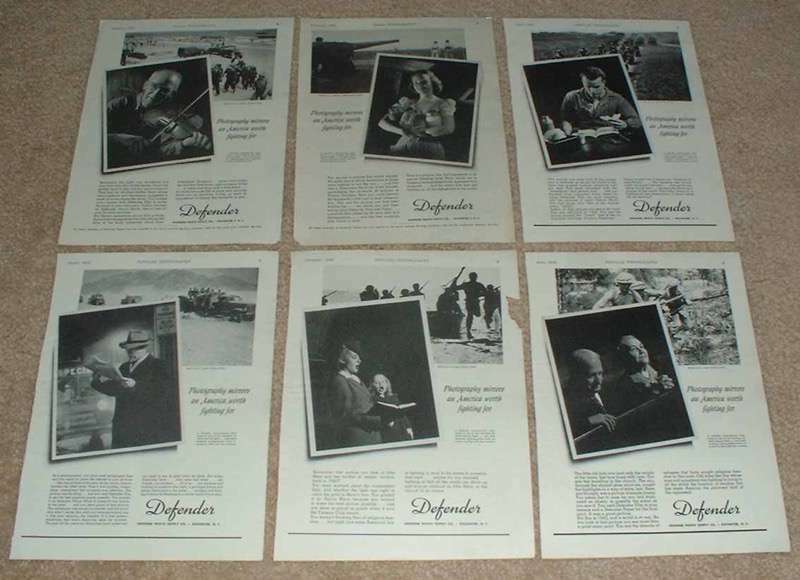 This is a large lot of 12 Defender Photo Supply ads, all from printed during WWII! The size of each ad is approximately 8.5x11 inches. The ads are in great condition overall, although some may exhibit slight staining, crinkling and/or creasing. These vintage ads would look great framed and displayed! Add it to your collection today!